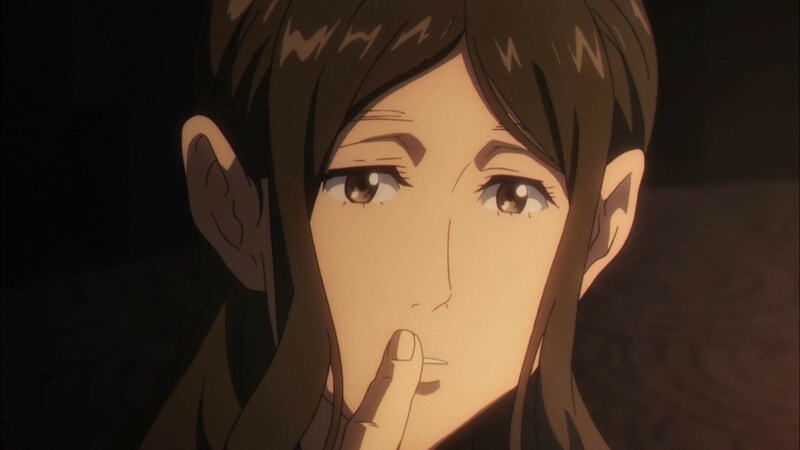 You can say many things about Boogiepop wa Warawanai – and I know, because I have. 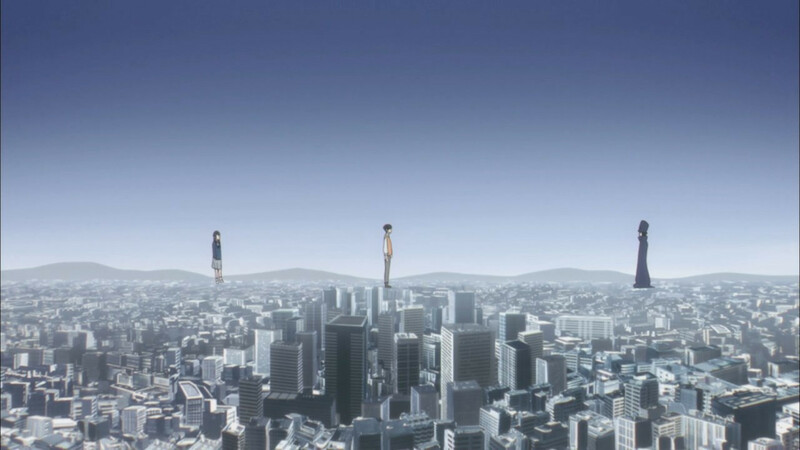 But one thing stands out as obvious to me, and it’s that this series is pretty much unique, and so is the experience of watching it. 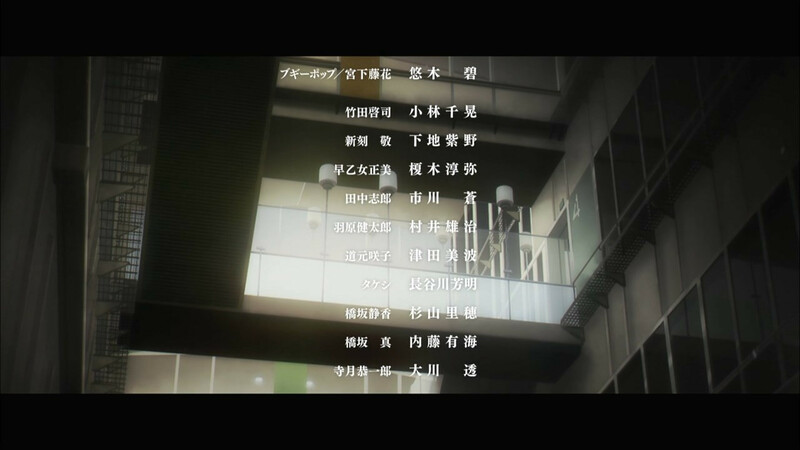 It’s fitting that Warawanai had 18 episodes because, well- that’s just weird, and so was everything about this production. 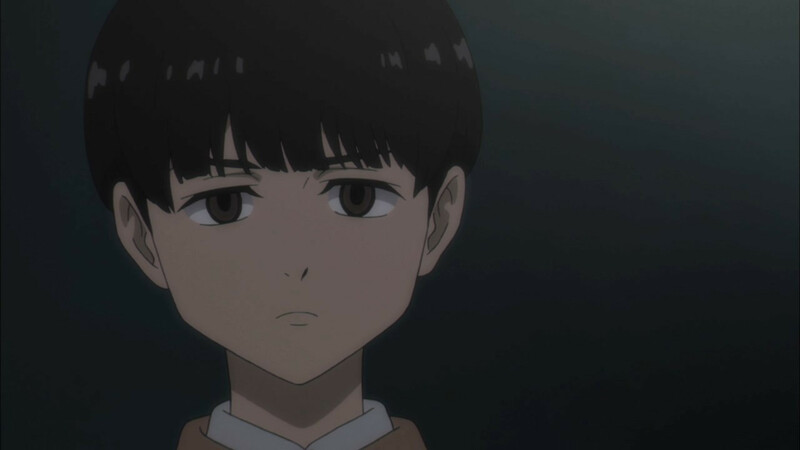 Honestly, when was the last time we saw an anime with an 18-episode run – or 17, or 19? I’m sure there are other recent examples but I can’t think of any at the moment. There are certain shows about which I’ve waxed so expansively over the course of their run that by the time we get to the finale, I don’t have a lot of bases not already covered in big piles of words. 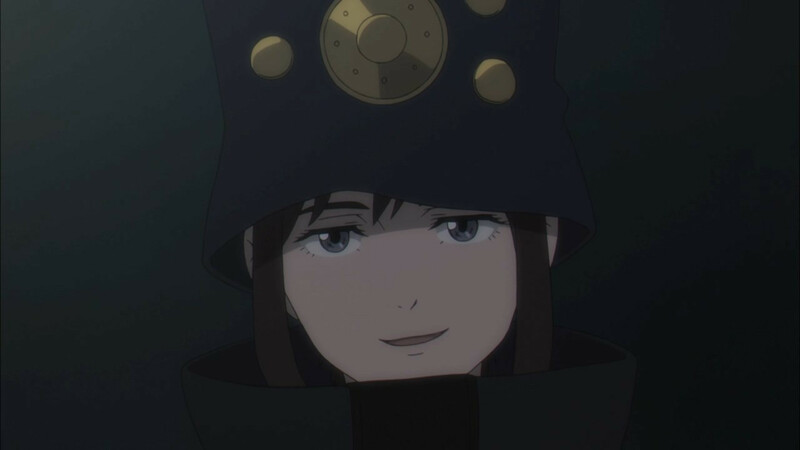 Boogiepop has inspired me to think in symbolic terms more than any series in a long time (which I consider a good thing), which always gives more grist for the writing mill come the weekend. It’s a meditative experience, no question, watching this series. I really do think it begs to be interpreted like a song more than any other type of narrative prose – the things it makes you think and feel are more important than the events themselves. Because this is such a non-traditional series, with a non-traditional narrative, it only makes sense that it should have a non-traditional finale. 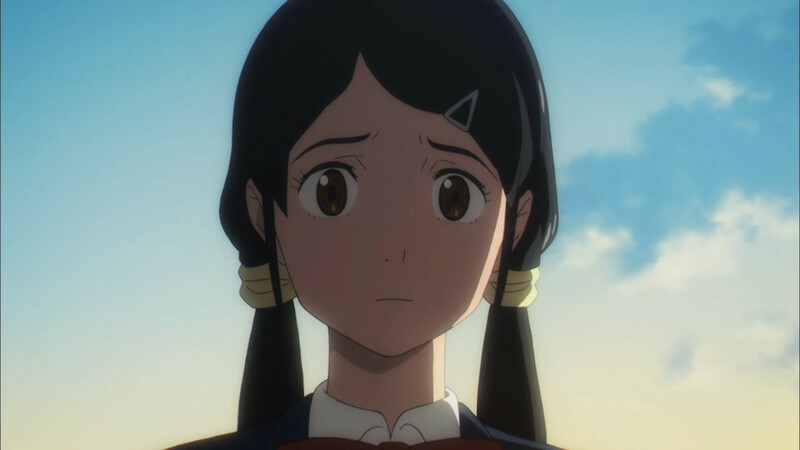 Each arc of Warawanai has had an ending, but none of them felt like a true series finale – because of course, none of them have been as far as the novels are concerned. “King of Distortion” was no different. 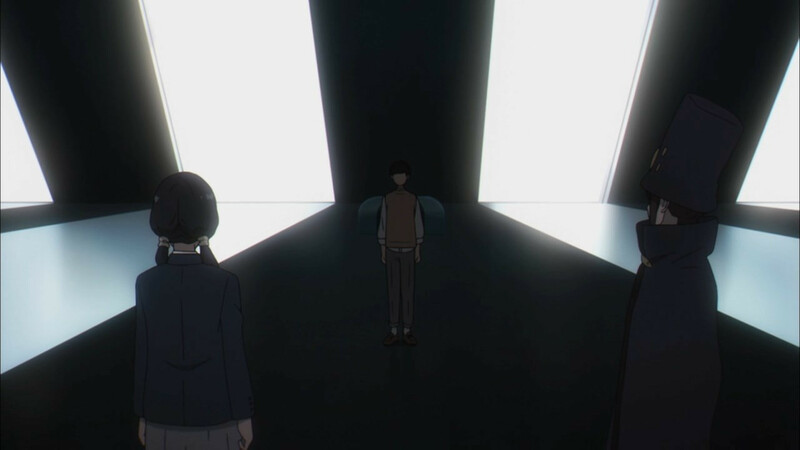 Even setting aside the unorthodox way the arc itself ended (which I’ll get to in a bit) it felt no more like the last episode of the story than any of the others. Here’s my take on that. 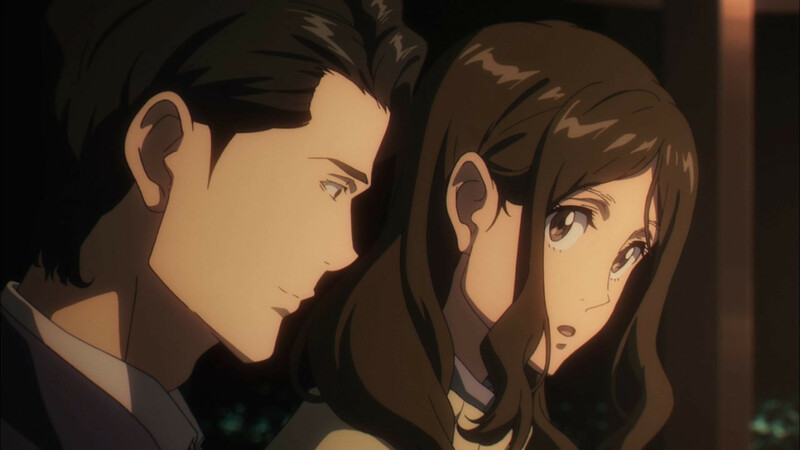 Because Boogiepop tends to have characters pop in and out of the story, filling different roles at different times, one walks away with the sense that we’re merely seeing our paths cross with theirs, and that they’ve been living in their own lives in the meantime. So how the heck do you end a series like that? 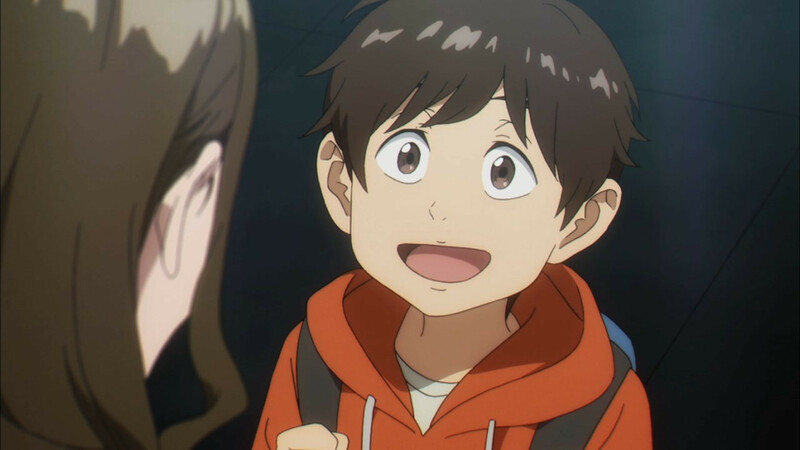 There aren’t any traditional protagonists or antagonists here in the larger sense, and everything in Boogiepop is about motion rather than stasis. 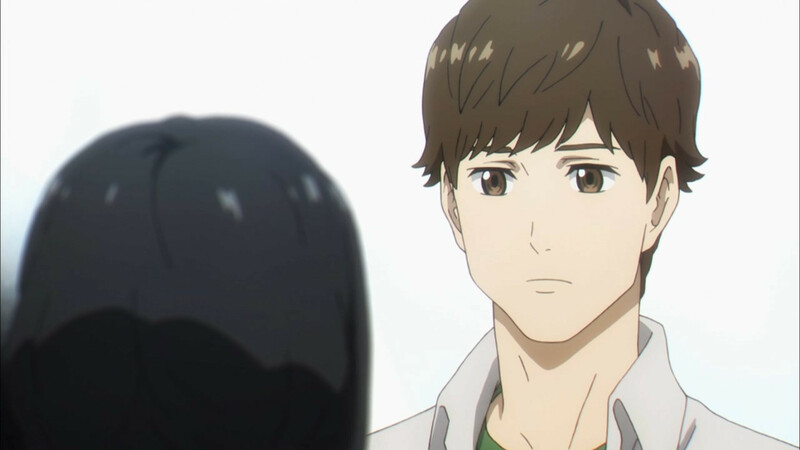 To try and manufacture an ending that implied closure would have been unfaithful to the spirit of the narrative – and Natsume Shingo and Madhouse have been nothing if not faithful to that spirit. That faithfulness has caused a disconnect with the modern audience, I have no doubt (which we’ll be reminded of when the disc sales numbers come out). 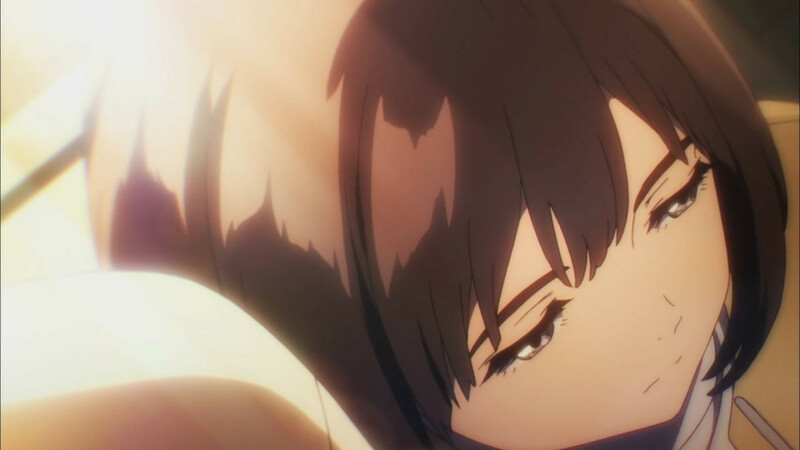 But almost more than any other series I can think of, Boogiepop would have been compromised by compromise – the fragile mythology it’s built would have tumbled like a house of cards. 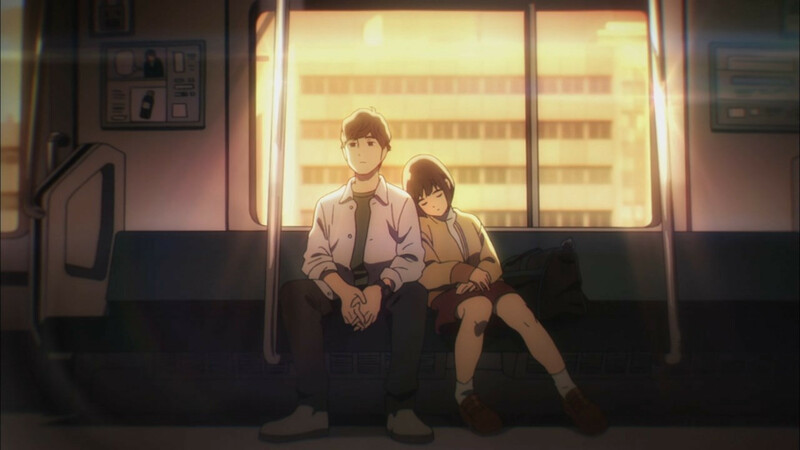 Yes, it was a pioneer in the light novel movement but that’s more symbolic than anything – what matters is that the story Kadono Kouhei is telling here wouldn’t have worked with a traditional modern anime (never mind LN) narrative. 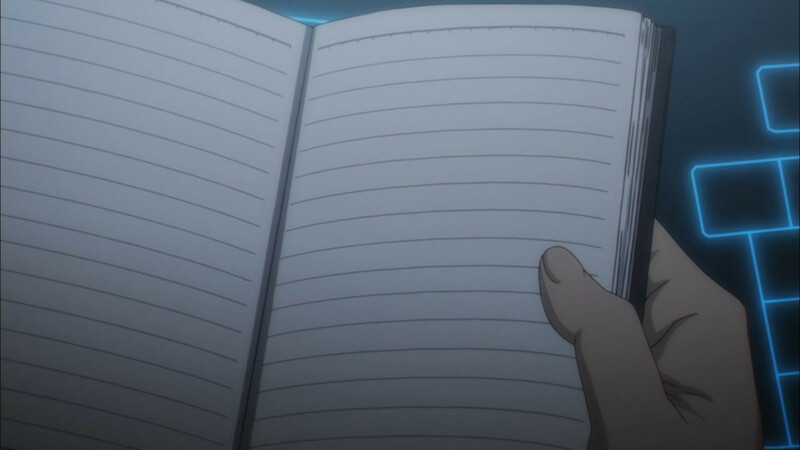 So in that context, the ending of “King of Distortion” makes a whole lot of sense. There was no real conflict in the end, no reckoning, because it wasn’t necessary. 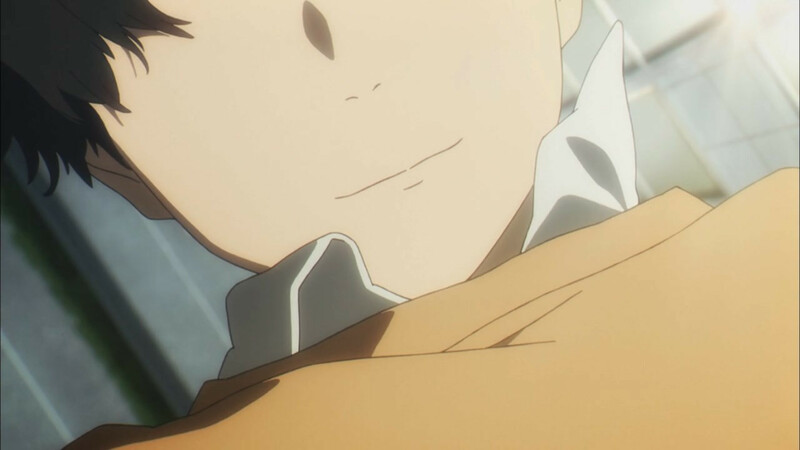 Yes, Tanaka Shirou was the King of Distortion. 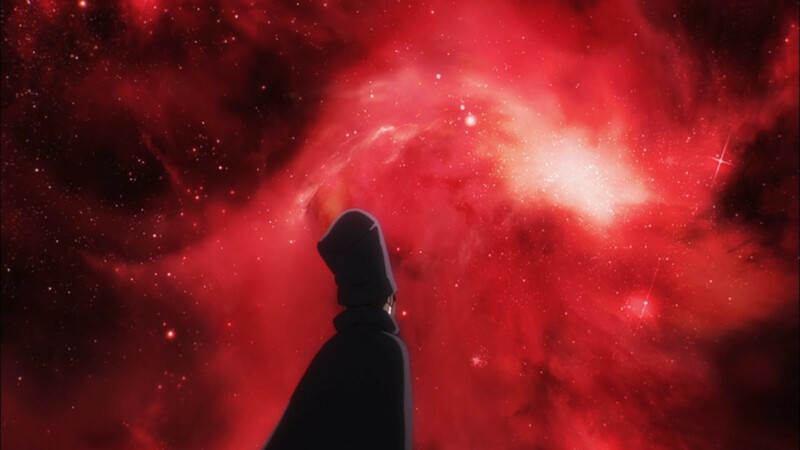 And it seems as if being the KoD was a special ability (evidence he’s super-evolved, I assume) rather than a distinct second presence in his body. 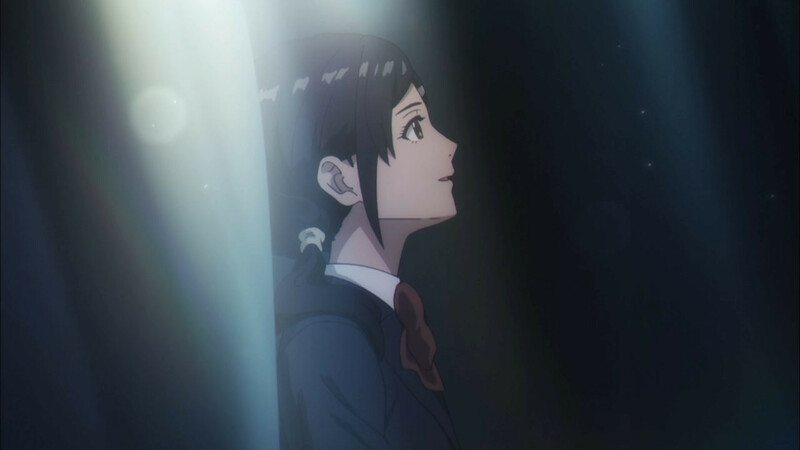 What that says about Boogiepop/Touka is subject to interpretation – they may be the same, or they may be different. 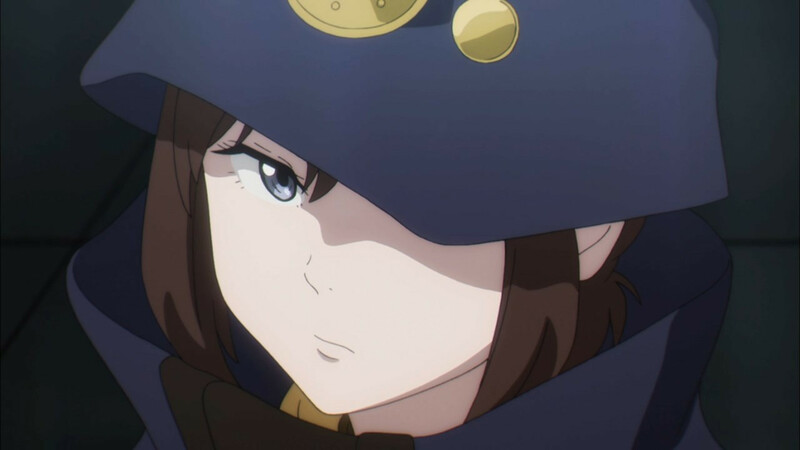 I still tend to think Boogiepop is a distinct entity from Touka rather than a “manifestation” of a power (where does she hide the outfit otherwise? 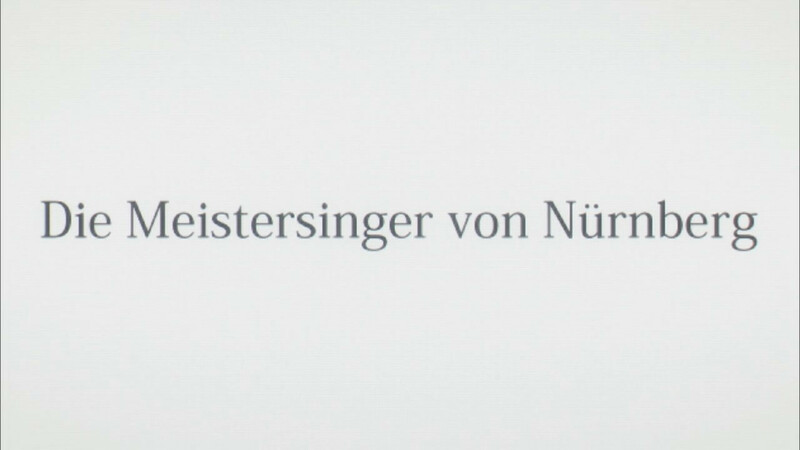 Could be an illusion I suppose…). 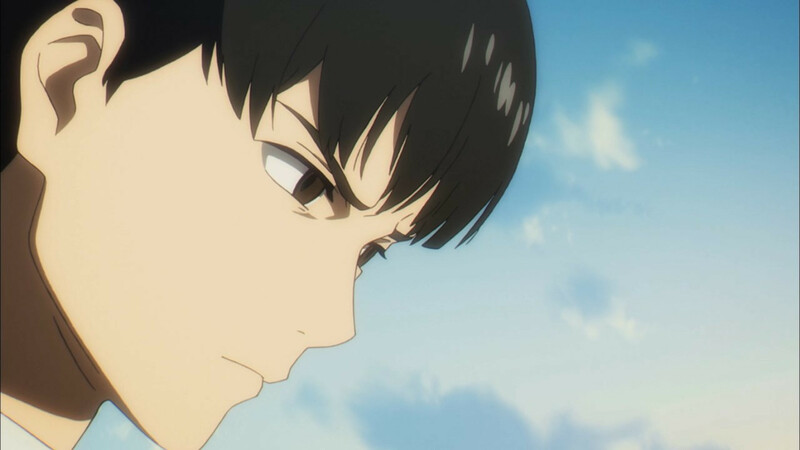 But in Tanaka’s case it seems clearly to be a facet of the boy himself – one brought on by guilt over his perceived role in the death of Kamikishiro Naoko. 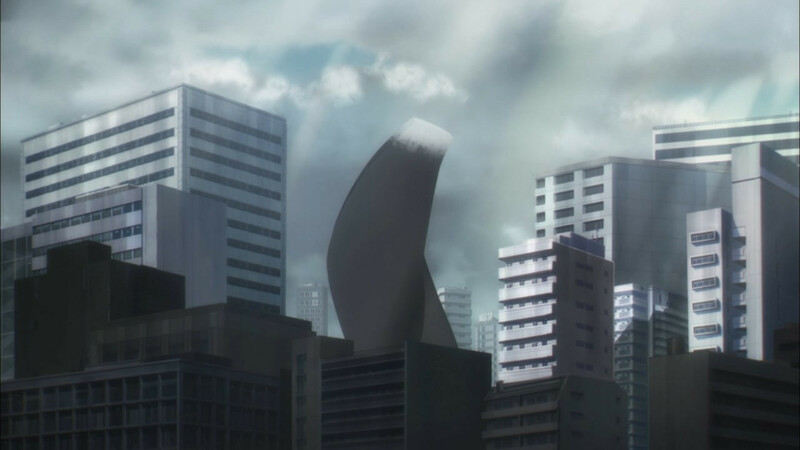 It’s Nittoki-san who more or less figures this out, and eventually she, Boogiepop and Shirou have a reckoning atop the Moon Temple. This is where, is a conventional show, the gunfight at the O.K. Corral would have taken place. 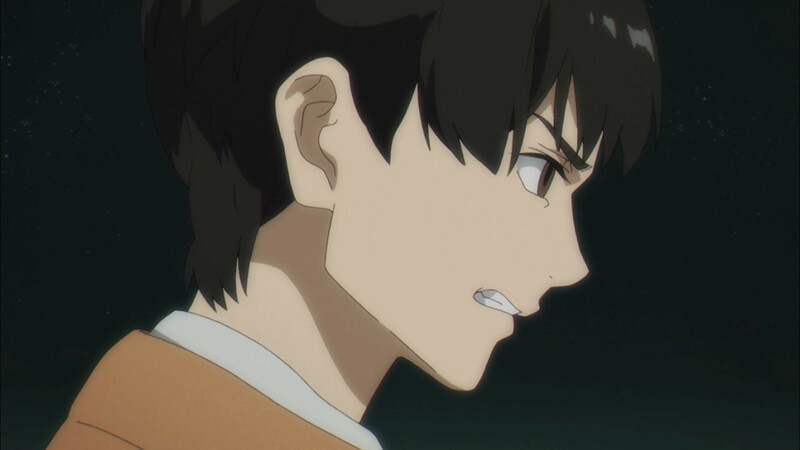 But instead they talk, debate – and it’s clear Boogiepop isn’t interested in taking Shirou down. 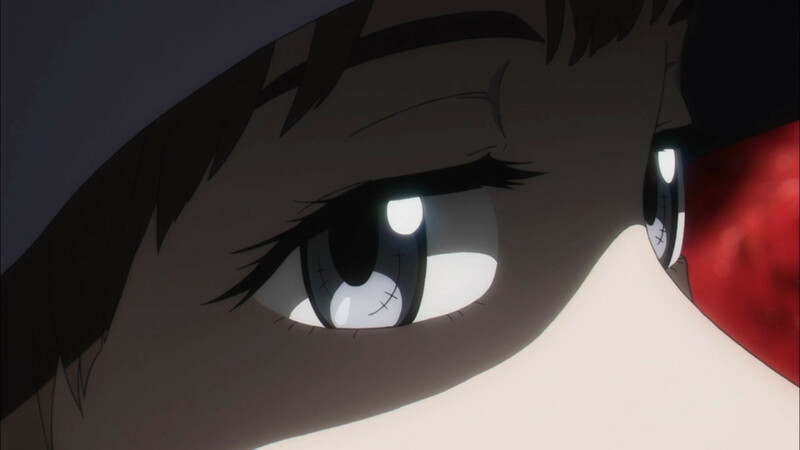 “Are you evil?” Boogiepop asks, and in doing so shows us what he believes the answer to be. 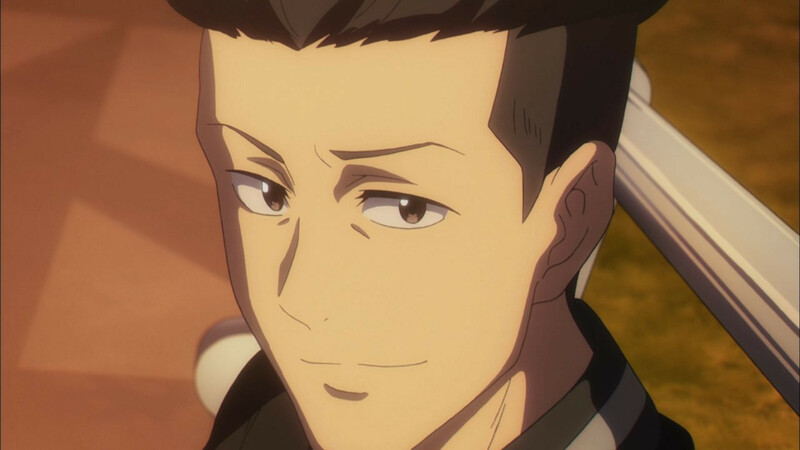 In a sense Boogiepop is saying “You just need to get this out of your system” to Shirou – though there’s an unmissable message that he’ll be keeping an eye on the King of Distortion, and is ready to step in if necessary. As usual there are no real answers here. 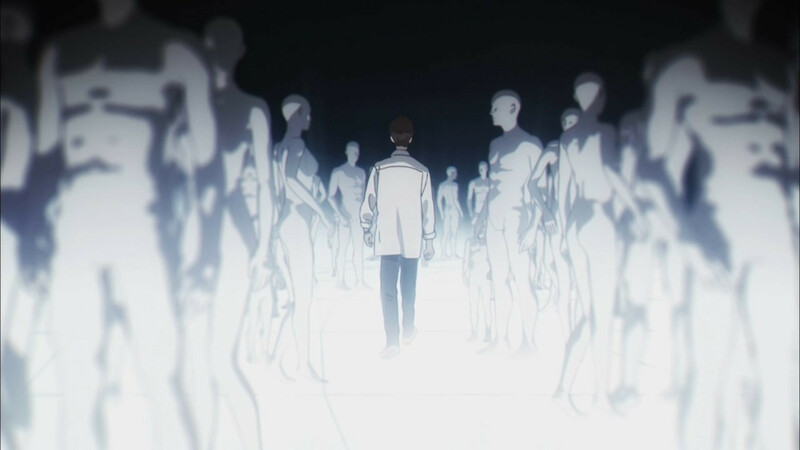 We don’t really know where the normal human ends and the alter ego begins, or to what extent these are part of the host’s psyche or something more. Or indeed if these abilities are latent in all of us just waiting for a trigger, or whether (for now at least) only very exceptional people have them. 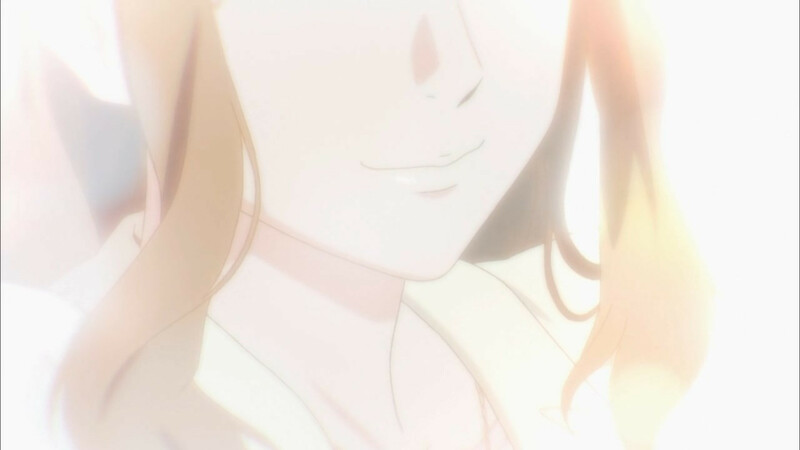 Or how much that matters, or who started the Touwa organization. 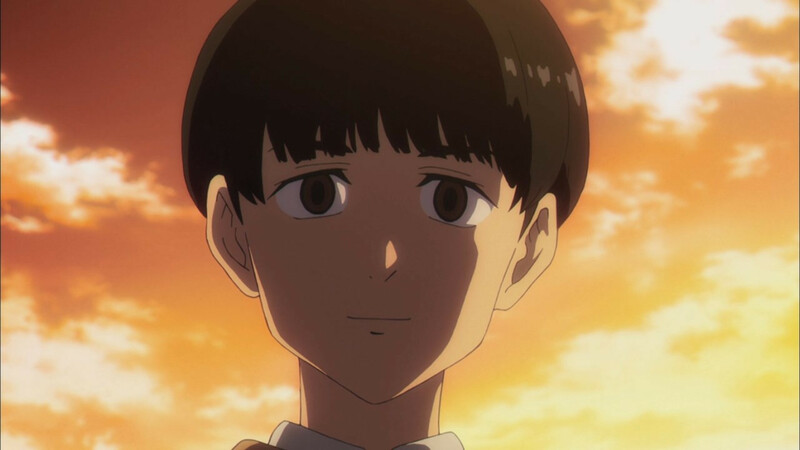 But it’s not really about the answers, this series, and if you and I came up with exactly the same interpretation of all this I suspect Kadono would think he’d failed at his job. 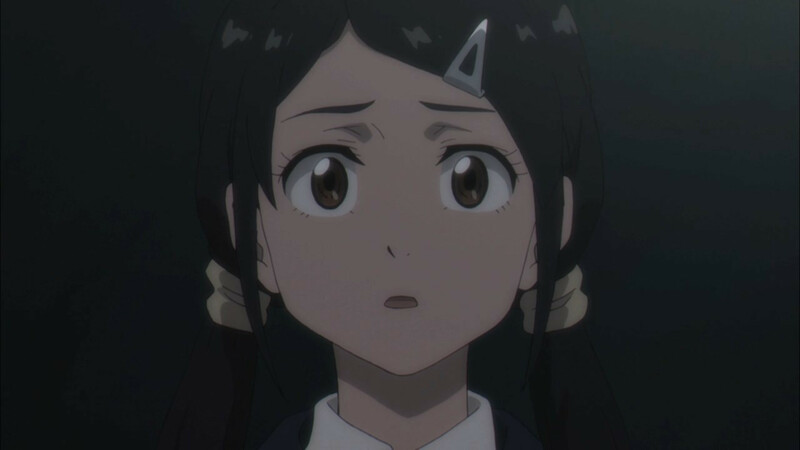 It’s easy to slip the nostalgia goggles on and say that Boogiepop reflects a time when light novels were better (pssst – they were) but that’s not really the point here. 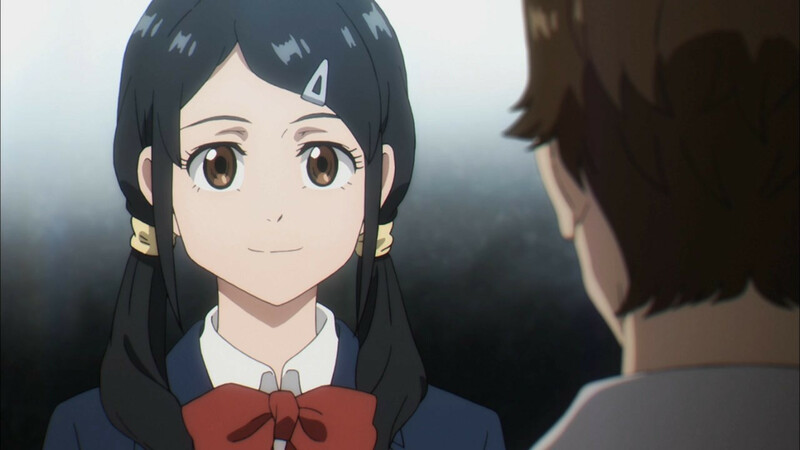 The main thing is that Boogiepop wa Warawanai was a singular viewing experience in 2019 – an anime redolent of what anime sci-fi used to be like, and for that alone I’d be glad it exists. 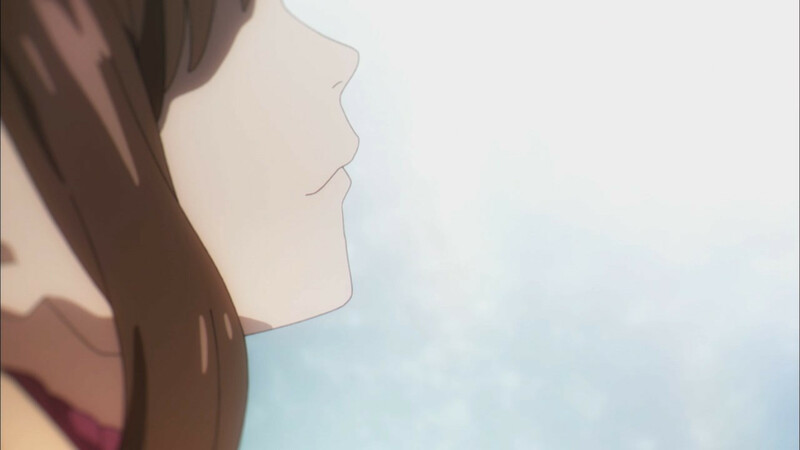 But there’s also the fact that it made me appreciate this old franchise in a much more profound way, the skill Natsume displayed in putting this series together, and Yuuki Aoi’s spectacularly unconventional and subtle performance as Boogiepop. 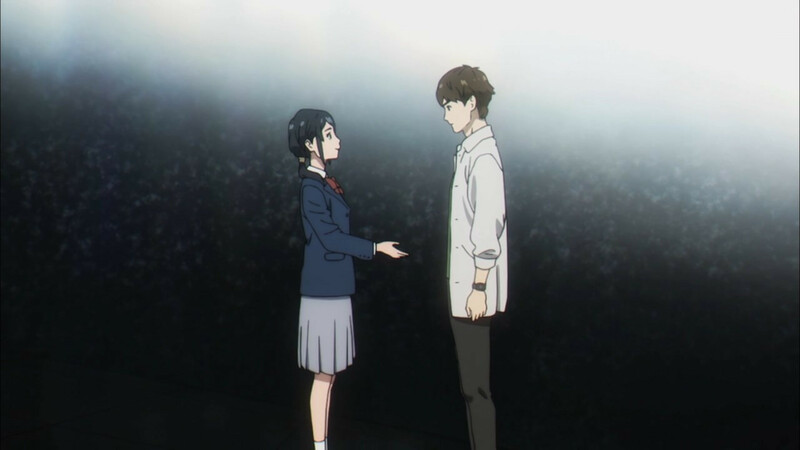 It was a slow build for me, but this series ended up being one of the best of the winter season – one that challenged me as few shows do and stayed with me after viewing long after most would have faded away. 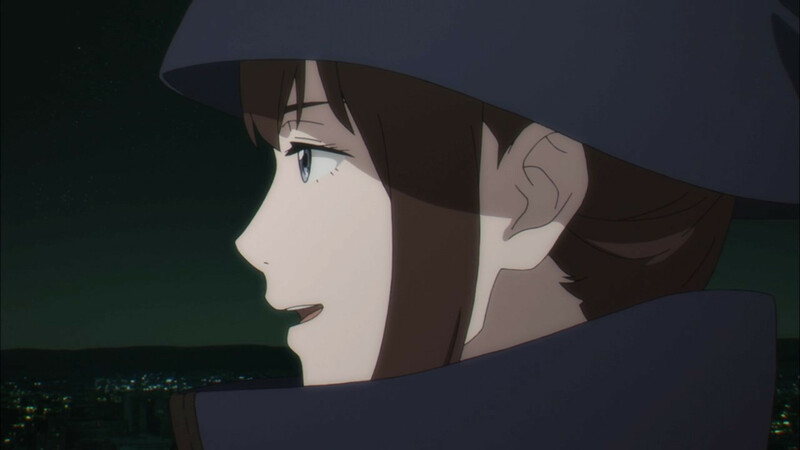 If this is indeed the last we see of Boogiepop in anime (as I strongly suspect it will be) I’m very glad that another generation of fans has had the opportunity to experience Boogiepop in a form that’s so true to the essential nature of the series – whether they collectively appreciate that as much as they should or not. It was nice to see this blogged on Random Curiosity. 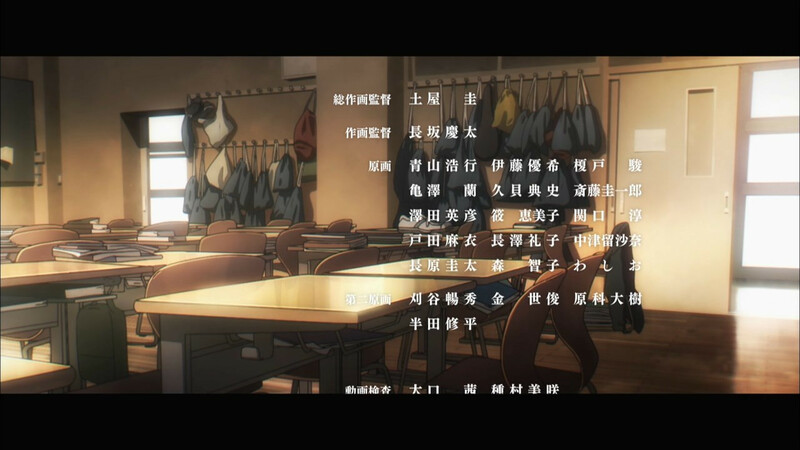 It was my favorite anime in years. I loved all the unconventional creative decisions that you talked about. They are what made it feel authentic, rather than a typical story where you’re expect to self-insert with the hero. 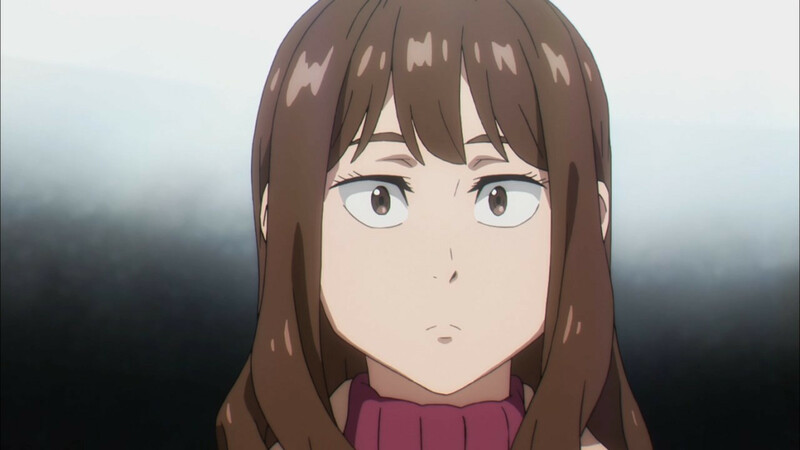 And as a fan of urban fantasy, I feel as though this anime came from an era before people settled for associating the genre with teenage power fantasies and therefore added comedy, fanservice, action, and moe to round out its appeal. 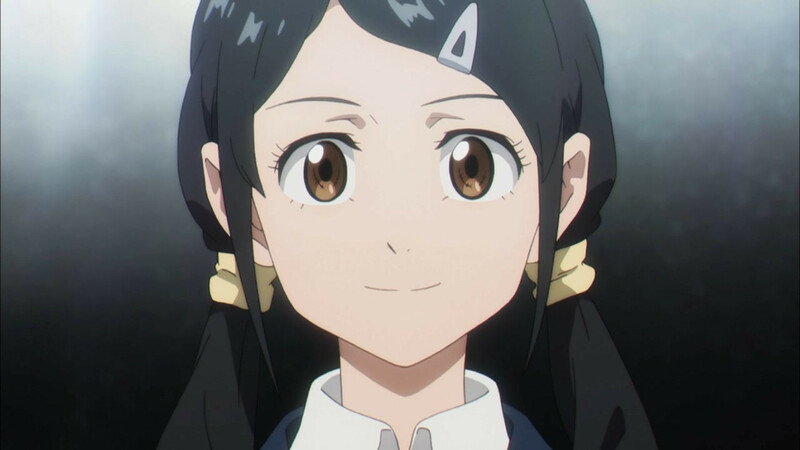 As a heads up, Seven Seas has translated the first 6 volumes of the Boogiepop light novel series. But I don’t know that they have any intention to continue it. Though I heard that it’s possible they could listen to reader feedback in their monthly surveys. 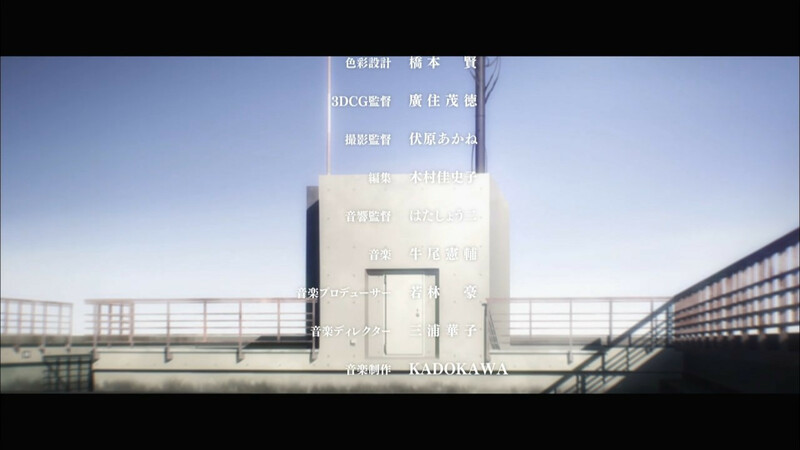 That ending gave me chills upon chills. 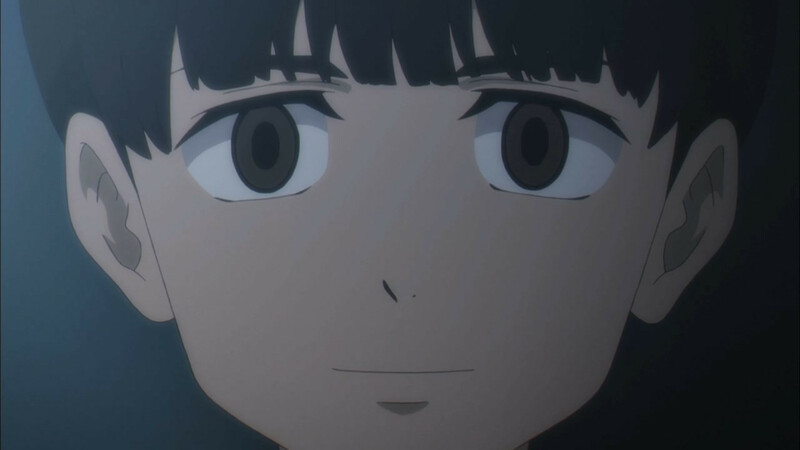 I’m so glad I stuck around after that extremely disjointed first episode. 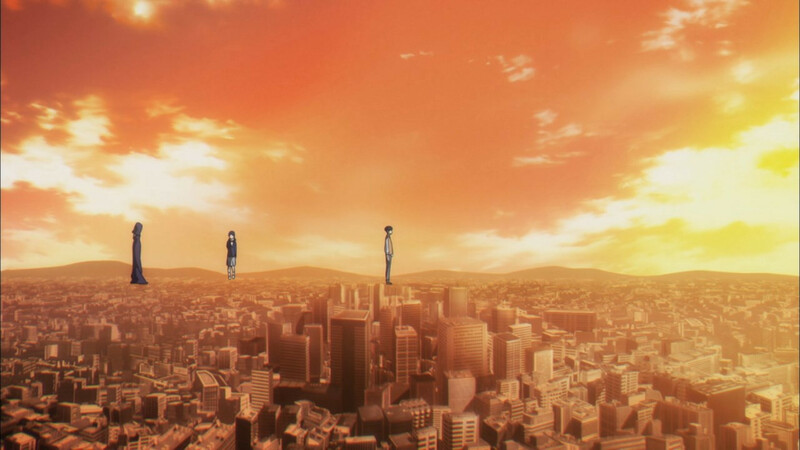 I especially appreciated the extra effort they seem to put into this finale with the better animation. What a great way to send it off. 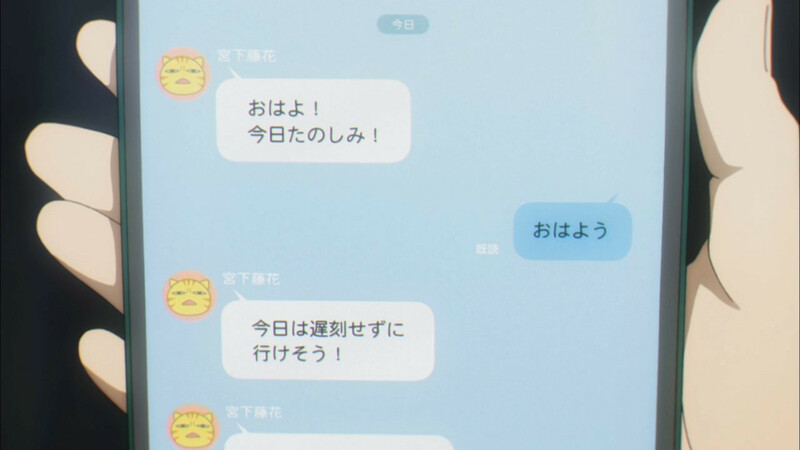 Again, the supporting characters have their moments. 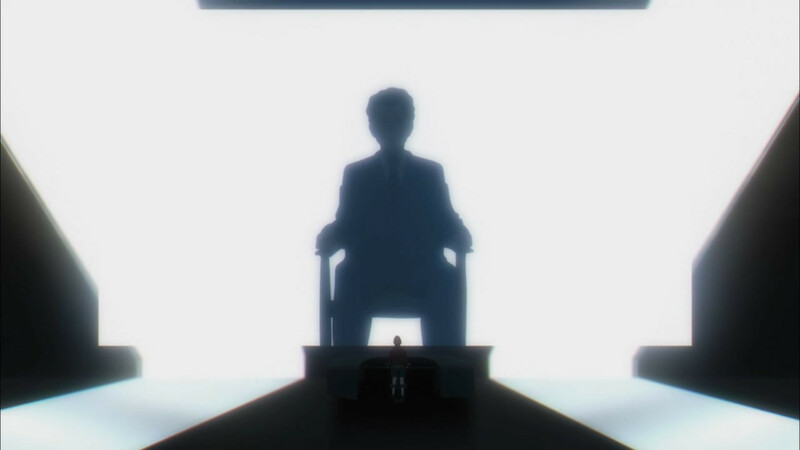 Niitoki gets to shine by figuring out the King of Distortion’s true identity. 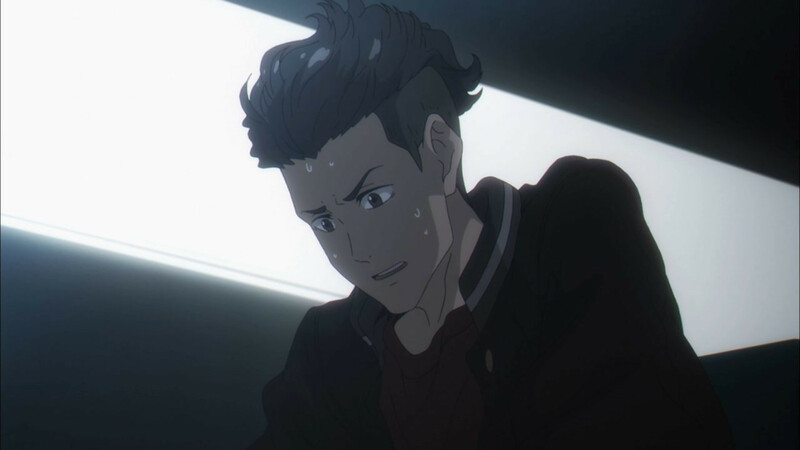 Kentarou gets second prize for reaching the control room, but is blindsided due to incorrectly deducing that the King of Distortion is Teratsuki. 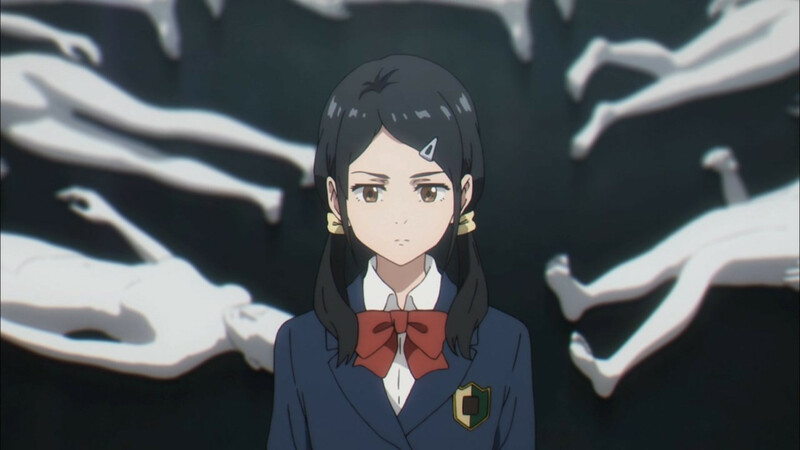 Makoto provides Zooragi, something for Boogiepop to beat up in this arc (LOL). In the end, the King of Distortion gave the people he interacted with time to mull over their regrets, and help surpass them. 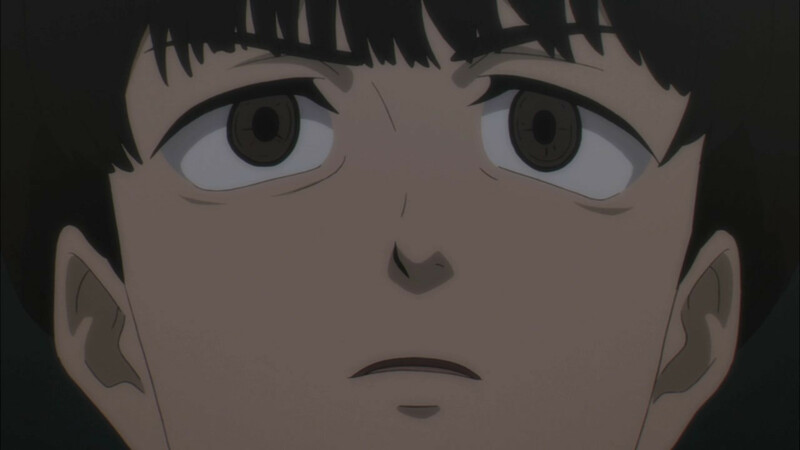 And for once, Boogiepop ends up not needing to stop/kill anyone, just talk some sense into him. It’s a good way to end the series.